Everyone's got an idea for a movie. I think that's a fairly universal truth (just like how pretty much every gamer has a game they'd like to make). But most of the time we don't really get a chance to express our ideas for a movie with others. Well, Broken Ruler Games and Mystical Throne Entertainment think that's just terrible and so they've created a game where that's just what you do. 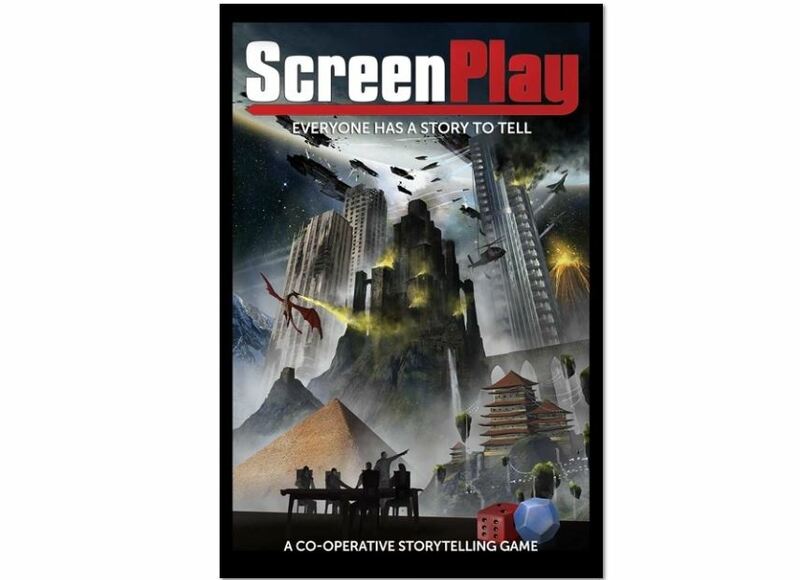 ScreenPlay is a collective storytelling game where players work together with a Director (sort of like the GM for the game) to create the first draft of a screenplay or perhaps a novel, manga, or some other form of fiction. The game's a lot more about creativity than it is rules mechanics. And in the end, you've got yourself a story (though whether it's Citizen Kane or Kung-Fury is up to your group).